Coffee Connection is a weekly reminder post. With over 400 pages on this site, it’s easy to overlook a page that might interest you. Coffee Connection introduces a page that is hosted in the ‘pages’ section of the site that is of interest to readers. 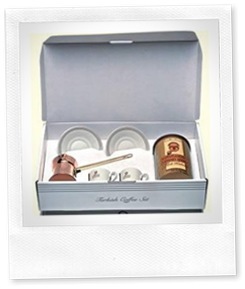 In this week’s edition, we’ll look at Gourmet Coffee Gifts. With Christmas, Thanksgiving, Hanukkah, & many other times for giving gifts approaching, the special coffee is a real treat for coffee lovers! Find out which coffee gifts are affordable, what kind of roast to buy, whether to buy whole beans or ground coffee. You’ll also find a few coffee bean suggestions to consider: from dark roasted to light roasted. So if you’re stuck for a few gift ideas for someone who loves coffee, take a look at this article and decide if you can afford NOT to give the gift of coffee to someone you love who loves coffee!